venue in Madrid, where many food brands meet every year. This exhibition is one of the most important events in terms of food and catering. Internationally, it is consolidated as one of Europe’s most important trade fairs. 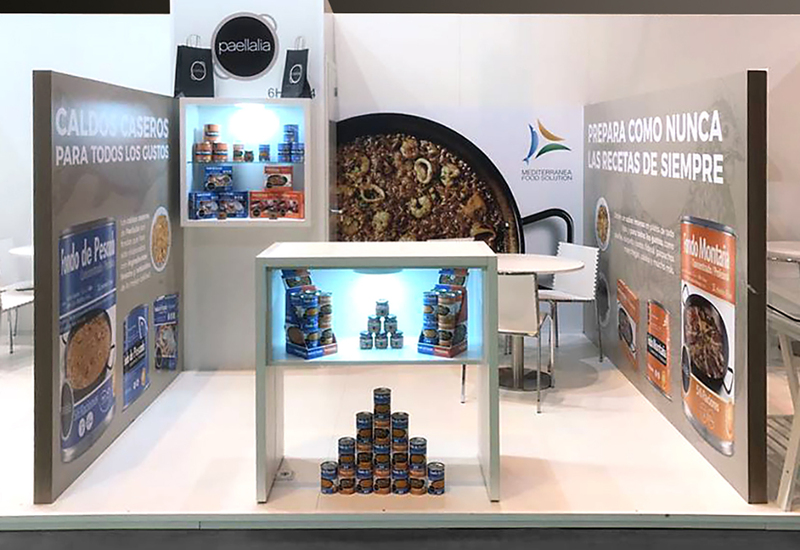 At the exhibition, we had the opportunity to present our star products and we met a large number of sector professionals, both on a national and international level, who were interested in our homestyle broths and fish and mountain bases. At Paellalia, we are very proud of the Mediterranean and traditional character of our products, and what better way to present them than in the largest showcase of Europe, the Salon de Gourmets.